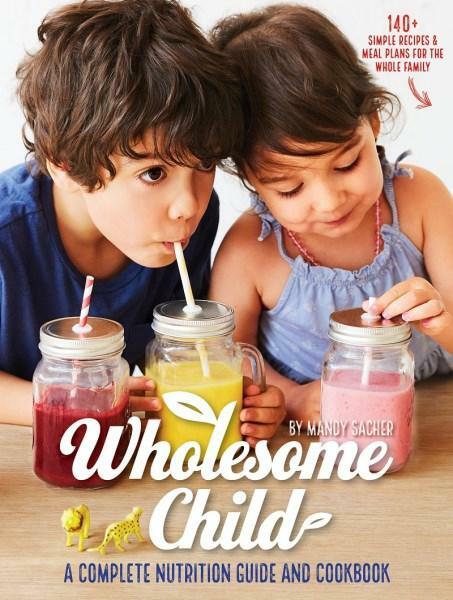 In The Wholesome Child, leading pediatric nutritionist Mandy Sacher provides creative and effective strategies and recipes designed to get even the fussiest of eaters to try new, whole foods. Mandy knows that the road to healthy eating doesn’t happen overnight with young children, but that small changes can make a massive difference to the health and well-being of a family. There is nothing wrong with bumping up recipes with hidden veggies, as long as you offer these same veggies to your child in their raw state too. 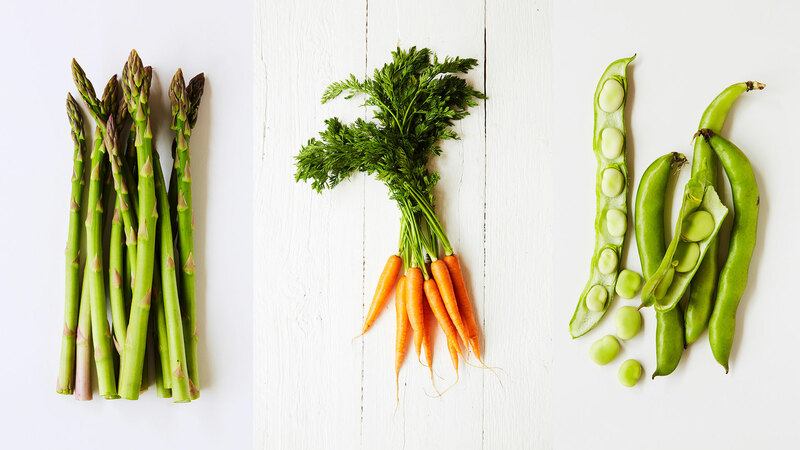 The bottom line is you can never have too many veggies in a child’s diet. 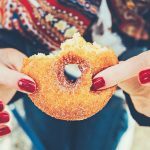 Going over the recommended five veggie serves a day is nothing but beneficial. And disguising vegetables becomes appropriate if a child is going through a fussy eating stage that is making it impossible for them to reach even half of their recommended daily veggie intake. However, it’s always best to involve your child in the process of adding veggies to their food. Prepare a choc muffin with added zucchini, and see the surprise on their face when they realise it tastes really good! Work within the framework of your child’s favourite foods. If he loves pancakes or pikelets, make them with pumpkin and sweet potato puree, if he loves pasta make your own pasta sauce and puree peas, onions, garlic and zucchini into it. 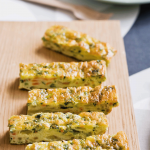 Veggies can be added into muffins or biscuits too. If your child only likes one vegetable such as carrots or potatoes, you can try pureeing similar coloured veggies and add them in as small quantities. For example, sweet potato and carrot, cauliflower and potato, broccoli and zucchini, mashed potato and parsnip, or parsnip chips added to potato chips. If your child will only eat sweet foods, bake vegetables in a honey sauce. Sweet potato, pumpkin, carrot, parsnip, or zucchini drizzled with raw honey and extra virgin olive oil and a pinch of cinnamon may be more palatable. Or put a drizzle of maple syrup into the water if you’re boiling vegetables. Use the nutrient-packed water from steamed or boiled vegetables, to water down fruit juice, or add to other dishes. Veggie stocks are an absolute powerhouse of nutrients (see recipe on page 277). Cook up an assortment of veggies, including leek, carrots, onion, parsley and bay leaves and add to any food you’re cooking. You can even boil pasta or rice in the veggie stock. Avoid stock cubes where possible, as they contain preservatives, sugar and excess salt. Instead, freeze homemade vegetable stock into cubes to use at a later stage. 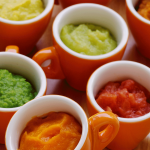 Homemade sauces like hummus, tzatziki, babaghanoush (made with eggplant), sweet pepper relish, tomato sauce, broccoli cheese sauce and pesto sauce are all a great way to boost your child’s veggie intake. The list is endless. If your child is used to processed sauces, use a 1:3 ratio and slowly reduce the amount of processed sauce. Add vegetables to smoothies too. Use yoghurt as the base and add 1 banana, the juice of half an orange, frozen blueberries, raw spinach or kale, capsicum or carrot, and any of the following cooked and cooled vegetables: baked pumpkin, baked zucchini, or beetroot. You will need to experiment with sweetness. To start, use sweeter veggies like pumpkin, carrot and sweet potato, then experiment with green veggies like celery and spinach. Freeze leftovers in ice trays or popsicle moulds. This is an edited extract from The Wholesome Child by Mandy Sacher, available from www.wholesomechild.com.au for $39.99 and in stores nationally. The perfect meal to tide over littlies with fussy appetites.